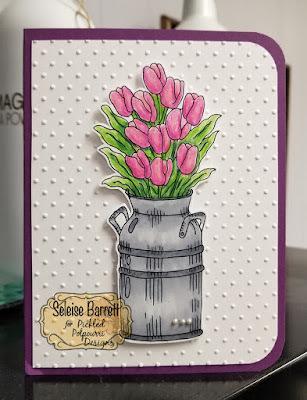 Gorgeous cards, love the tulips! Your cards are always gorgeous. The tulips are a bit of teasing in January, LOL! But they sure are gorgeous. Awww - thanks, Sue! And, yep, I was definitely dreaming of spring weather at that point! 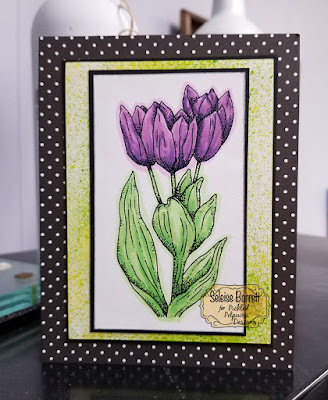 Fantastic cards featuring tulips! 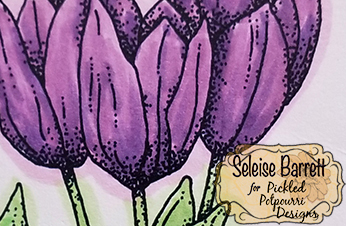 I love the purple ones but the pink tulips in the old milk can are terrific, too!!! Thanks a bunch! Tulips are so happy!